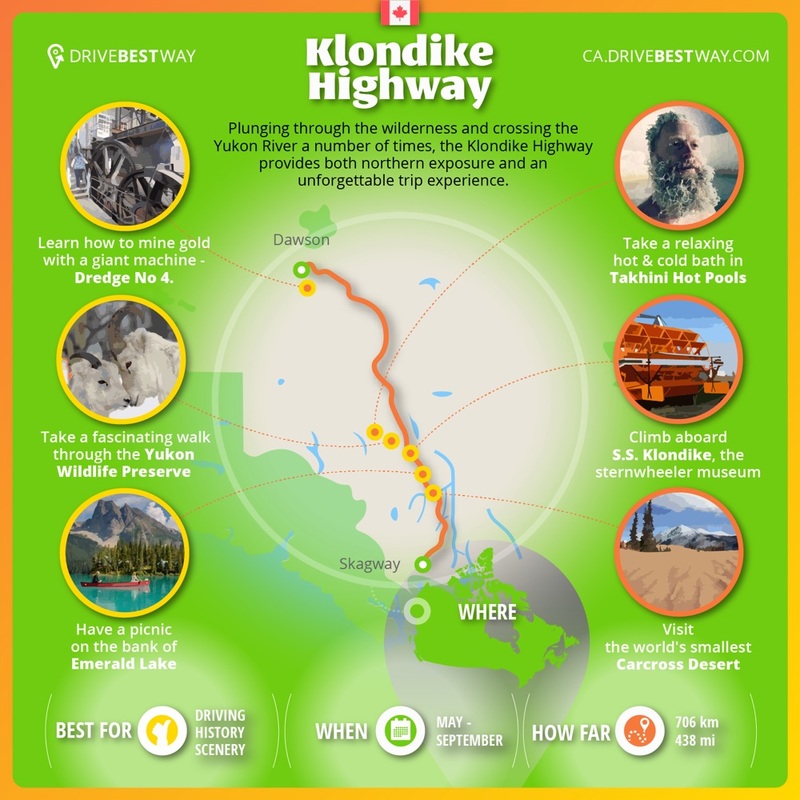 This infographics shows Klondike Highway road trip, one of the most popular in Canada. The one-hour hike around the Emerald Lake in Yoho National Park pass you through beautiful vantage points to avalanche slopes and glaciers. It is one of the simplest hikes but also the most rewarding at the same time. Takhini Hot Pools is a great place to warm up from the frozen tundra. It have been in operation for over 100 years and is open year around. This hot springs is also a luxurious area to view the Northern Lights. The Carcross Desert was the bottom of a large glacial lake 10,000 years ago. It is really small – about 642 acres (260 hectares) and it has been recognized by Guinness as ‘The World’s Smallest Desert’. The route is suited to you if you like driving, history and scenery. Take at least 3 days to pass it from May to September.